Delivered on Australia’s best mobile network · Great value · Monthly plans per calendar month, not 28 days! No lock in contracts · Monthly plans per calendar month, not 28 days! Delivered on the Vodafone 4G mobile network providing fast data speeds and coverage to 97% of the Australian population. 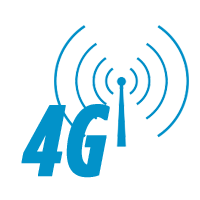 Provides a combined 4G and 3G coverage footprint of more than 98.8% of the Australian population, using part of Telstra’s 4G mobile network. CMobile was created to provide a different service to the big Aussie Telco’s. Our promise is to provide outstanding, personal service from our 100% Australian based team and fantastic value for money. All our low cost SIM only mobile plans have no lock-in contracts and offer cheap call rates. View our mobile plans and you will see they represent some of the best value in Australia! Reliable network coverage that works in more places. No lock in contracts. All our plans are month to month. The very best Australian based support. Clear, easy to understand plans with no hidden nasties. A large range of plans and the freedom to move month to month. Fast sign up and next day SIM delivery. "Love being able to call and have stuff done, right there and then. So nice to have a Telco that you know, actually responds." Manage your account in a secure online environment. C Mobile was featured on A Current Affair's Phone Deals.